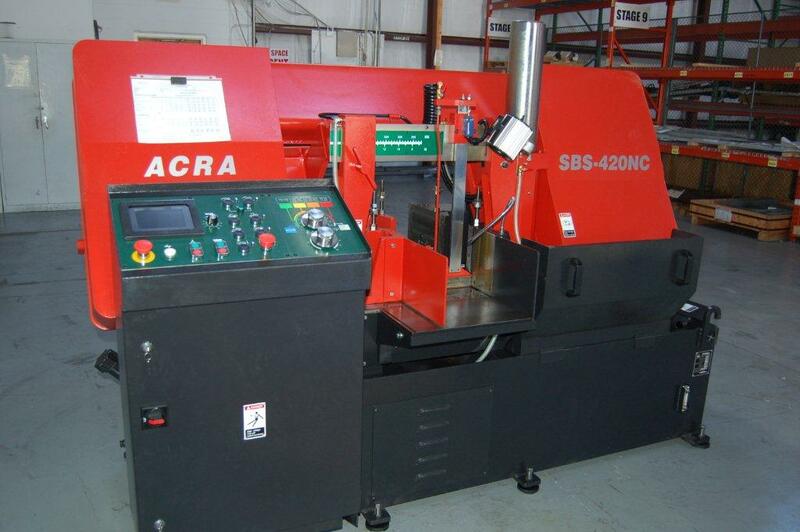 Manzi Metals, Inc. is pleased to announce that we have just purchased and received a new ACRA SBS-420NC horizontal band saw. The addition of this saw now gives Manzi Metals the in house capacity of cutting up to 17″ thick metal stock. Adding this new saw also increases our cutting quantity capacity. This saw has infinitely variable blade speed control, PLC controls for all hydraulic and electrical functions, hydraulic blade tension and motion detector for stalls and blade breakage.